Good news: the road-going version should look just like the concept. The Lincoln Aviator was a welcomed surprise when it made its debut as a prototype at the New York Auto Show back in March. The head-turning, high-riding SUV wielded a biturbo hybrid V6 with a plug-in powertrain, and a rear-wheel-drive platform – but was still far from a road-ready vehicle. Now, new spy photos show the upcoming Aviator with a slightly more production-ready look. Most of the body is covered in camouflage, of course, but we can still make out some defining cues. For one, the body retains most of the same shape and size of the original New York prototype – if not a bit sharper. Lincoln execs did promise that the production version would be almost identical to the prototype. 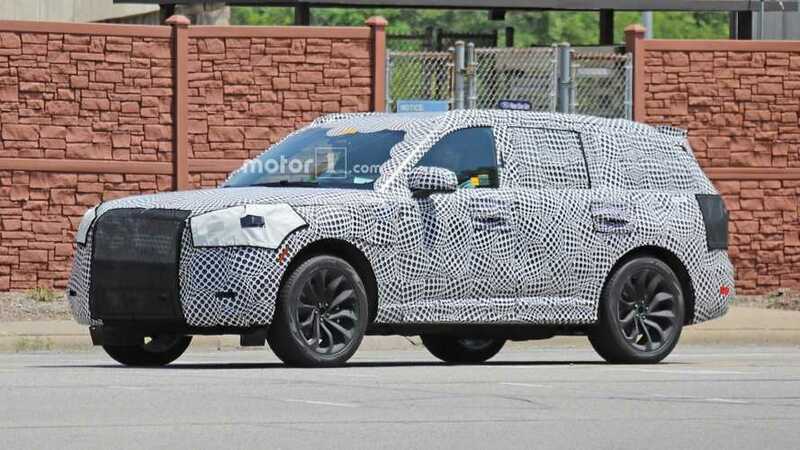 Hidden behind camouflage on the front fascia, the signature Lincoln grille found on both the Aviator concept and the larger Navigator appears to carry over. The headlights, too, maintain a similar shape and size to the original prototype. The rear is less revealing, but shows the extended light bar in tow. In the cabin, Lincoln has attempted to hide the Aviator’s features – but no luck. The same massive tablet-style screen is pictured, showing off features like Bluetooth, Navigation, Sync Connect, Mobile Apps, and more. The rest of the cabin, meanwhile, remains covered up. It’s unclear exactly when we’ll see the production Aviator in the sheet metal, but don’t expect it anytime before 2019. The production Aviator will show up next year (we’d wager at the Detroit Auto Show), before going on sale late in 2019 as a 2020 model.